Its a known fact that Matt Corby has been the Musical Prince in my heart since I saw him perform at Sxsw in 2011. Sadly, Matt been off the grid for more than a year….but if you thinkg about it…..he performed at nearly every festival in the UK & Australia, it’s no wonder why he needed a break. During that time he went back into writers mode….and released his new single ‘Monday‘. And with new music = live shows! That’s right Matt will be performing live in Australia, so check out his site for more date information! Be sure to check out the new single on iTunes, YouTube and Spotify. Honestly there is no reason why this song isn’t added to your collection! I have way too many videos I rarely share….honestly, I take the video with the sole purpose of blogging but lets face it I get lazy. Here’s one of the rare videos I did post from one of Corby’s last Secret Garden parties in California in 2013. And in the spirit of Throw Back Thursday or #TBT I decided to revisit one of my favorite moments in the show. As Matt is playing Souls A’Fire a nearby train goes by and Matt briefly stops singing to comment on the train but goes right back into singing. Matt has been on hiatus for a while and hopes he makes his way back to Los Angeles because I miss his beautiful voice. Today Matt Corby premiered his new song ‘Resolution’ on Triple J! He wrote while living in Los Angeles earlier this year. Its a great song but how could you expect less from Corby? The song is available on iTunes for Australia only (BOOO!!! lol ) Hopefully it be available to the rest of us soon until then check out the video/audio Matt released on him YouTube page. There is nothing like a new Matt Corby to start the day! In this particular video…..Matt is simply mesmerizing. Souls A’Fire is already one of my favorite Matt Corby songs, whether its on electric guitar or his accoustic I’m spellbound. And with the New York skyline as his backdrop made this video one of my FAVORITE Corby videos – so far! Truly beautiful work from the Old Fulton Session team! At the moment Matt is touring the UK and I hope the U.S. will see him in the Spring. And if you miss Matt’s live shows then you’re missing out on seeing one of the best new artist to hit the music industry in a long time. Matt Corby posted a new video of ‘Brother’ and it never fails whenever I hear this song I (STILL) get chills down my back. Corby’s voice is hauntingly beautiful. I was so excited I had to share with my co-worker who was stunned into silence (hopefully I can make her a Corby fan!). 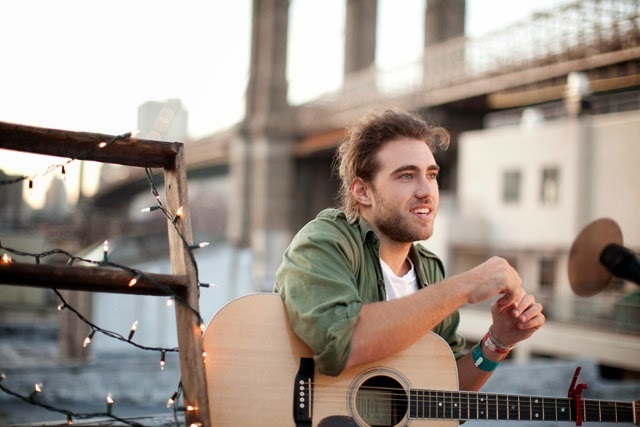 Want to see more Matt Corby videos? Check out his YouTube page! —> Click Here! If you follow this blog then you know I’m a HUGE Matt Corby fan! So its no surprise I was beyond excited when Corby posted a new song called Runaway. He performed this song at the London Secret Garden show just last month. And if you’ve never attended a Matt Corby Secret Garden show then you’re missing out on musical gold. One of my new favorite artist Jade Diary has released a new video called Rivers.